□Ariel Tan's Grad School Year 1 Update! My grad school year 1 is OVER!!! Thank you for helping and supporting me throughout this journey. I want to share my growth and adventures with you for the past year. Here is a snapshot on what have I been up to! In November, I had the opportunity to attend the 2017 MACUHO Annual Conference in College Park, Maryland with my residence life team. This conference allowed me to engage with regional initiatives, to experience a different approach to residential education, and to form new friendship and connections with others. It also reminded of my first WACUHO experience in 2016, and how much I’ve learned from these professional organizations. Combining my personal hobby in design and academic interest in research, I became the Communication Chair for the Association of Student Affairs Professionals and an Internal Editor for the Journal of Student Affairs. They were additional volunteer-based work, but also work that made me feel like I’m contributing to and growing with my community! Here is a short video I made documenting ASAP's Spring Semester! I had two large-scale programs around December. Plate of Culture (a name I adapted from Revelle ResLife) was a diversity program aimed to increase student’s awareness of cultural celebrations. Students participated in trivia to increase their knowledge about the corresponding culture. Winter Wonderland was a community building program aimed to help students socialize and relax. Students decorated gingerbread houses as a way to destress and celebrate the end of another year. They were both really successful programs, allowing my team to work together and to form a stronger bond. February was the shortest and busiest month for me. The day I got back from Argentina I was in between work and class already, working on RA selections with my supervisor and finishing a research paper for my study away program. Unfortunately, I encountered my first student loss in my professional career this month. Mental health has been an issue close to my academic, personal, and professional life. Fighting for mental health awareness and de-stigmatization are my forever goal in both of my personal and professional life. 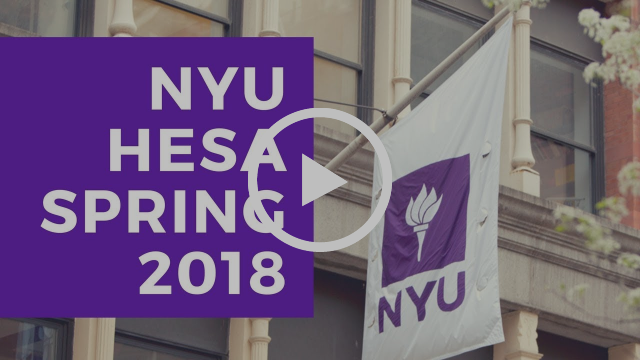 At the 2018 NYU Student Affairs Conference, I presented on two of my favorite topics: diversity issues and video games! Similar to other forms of media, several studies revealed that video games shape and influence players’ behaviors offline. My presentation provided background on the popularity of video games and identity for today’s gamer population. It also addressed the misrepresentation of minorities and women within video games through interactive activities. Seeing the U.S. Supreme Court Justice Sonia Sotomayor was definitely the highlight of my NASPA 2018. There were two quotes that resonated with me the most from her panel: “Don’t measure me by how the doors open for me. Measure me by what I do once I cross the threshold.” and “The greatest gift you can give a friend is accepting their help.” These quotes reminded me to stay motivated but to be aware of my limits. Besides attending different workshops, this was my first conference where I tried to socialize with others (usually I'm busy running between different sessions). Not only was I able to make new friends, I also reconnected with some of my So-Cal colleagues! ACPA 2018 was an identity-affirming and inspiring space for me. I received the NextGen Institute scholarship and participated in their pre-conference sessions. I also served as the ACPA Ambassador and connected with several like-minded new professionals throughout the conference. As a part of the APIDA Scholars Collective initiative, I was introduced to and engaged with several APIDA scholars to discuss my professional goals and academic interests. Through our conversations about biculturalism, immigration, and the model minority myth, I was encouraged to remain creative, passionate, and resilient in a world that's eager to label and to judge. Overall, the decolonization curriculum inspired me to stay engaged in academia, and the connection with APIDA mentors empowered me to explore my research interests even more. Towards the end of my school year, my internship site had a departmental divide and I was moved to the Housing and Operation side. Since this is a new position, I have the privilege to see and to become a part of the departmental changes. Overall, I believe this move will give me exposure to different functional areas of residence life, making me a more adaptable and experienced professional! For this summer, I am interning at NYU Shanghai’s Student Life Office for their New Student Programs team. Throughout my internship experience so far, I have created an assessment proposal and updated facilitator guide for their First Year Experience program, co-created the 4-Tier Diversity Leadership Program proposal, benchmarked institutional initiatives against nearby international universities, and modified orientation learning outcomes and evaluations. These projects allowed me to combine my theory knowledge and research skills, granting me a new sense of fulfillment and enjoyment. I was so homesick during the first semester that I wrote two papers about Californian institutions, one discussing the institutional profile of the UC system and one analyzing USC’s internationalization plan. Due to my immigration background, California always seemed to be a location instead of a hometown for me. But little did I know, leaving California granted me this new "Californian" identity. Nonetheless, I definitely underestimated the impact and influence of Californian institutions: I'm proud to be a Californian and UC alum! At the end of my first semester, I wrote a final paper on the Asian American higher education experience. I approached my prompt from a past, present, and future perspective: starting with the Chinese Exclusion Act, transitioning into the Model Minority Myth and ending with the Asian American activism. Learning about the Asian American activism brought forth a deeper appreciation on social justice education for me, helping me to learn and to unpack my racial self and my ethnic community. January was “the reason I came all the way to New York”: I traveled to Buenos Aires, Argentina and took a course on Visual Memory and Culture under the Media, Culture, and Communication department. Since we were learning about memory studies in the context of the 1976-1983 state terrorism in Argentina, the course was interdisciplinary and social justice-oriented. The class discussions brought me back to my undergraduate humanities classes, where we were able to discuss, reflect, and re-evaluate the purpose, formation, and function of human interactions and history. The interaction with global issues and the learning of memory studies allowed me to think deeper about our individual identity formation and collective human progress. 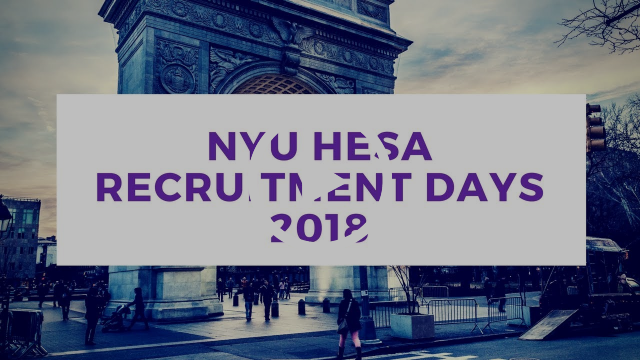 I started my NYU journey eager to get involved in research again but didn't have the time or the opportunity in the beginning. In this past semester, my research and theory classes inspired me to start my own research project. After a few months of literature reviews and discussions, I received the Steinhardt Competitive Master’s Student Research and Creative Grant (my first research grant!). This would allow me to conduct my own research exploring the adjustment process for Chinese bicultural students like myself starting next semester! Grad school wasn't pleasant at all in the beginning: I felt lonely, vulnerable, and miserable with stress coming from left and right, wondering if moving away from California was the right choice. However, I'm glad to say that I have overcome my growing pain and have found my new support system! One of my favorite singers once said: when you realized that you are not singing alone, you will gain courage from your ensemble. I'm happy to say that I'm a more courageous person now, thanks to my cohort and community. Wish me luck for my Year 2 of Grad School! Copyright © 2018 Guicheng Tan (Ariel Tan), All rights reserved. Hello there! You are receiving this email because I care about youuuuu!